There are so many wonderful things about running in New Orleans - the scenery, the crowd, the atmosphere...I could go on and on! 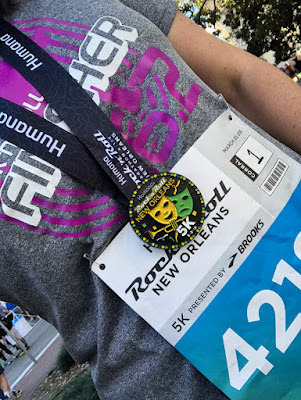 Imagine my excitement when I officially landed a spot for the Rock 'n' Roll New Orleans 5K at the Expo the previous day - this gave me another opportunity to run the streets of New Orleans and I couldn't have been more thrilled! 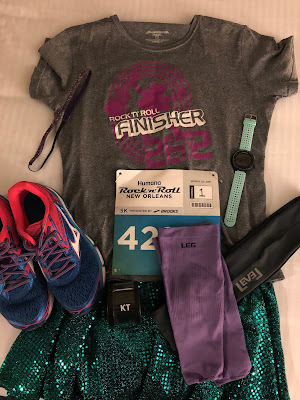 As always, my outfit was laid out and ready to go the evening before the race. 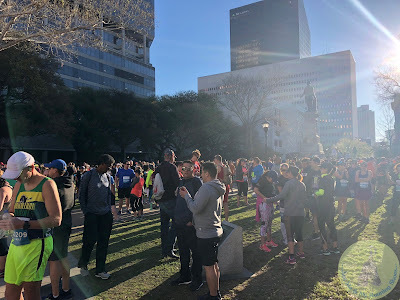 This race began at 8 a.m. and I only had a 10ish minute walk to the start line. Music to my ears! When I arrived, they weren't letting people into the corrals just yet, so I walked around and enjoyed the atmosphere. 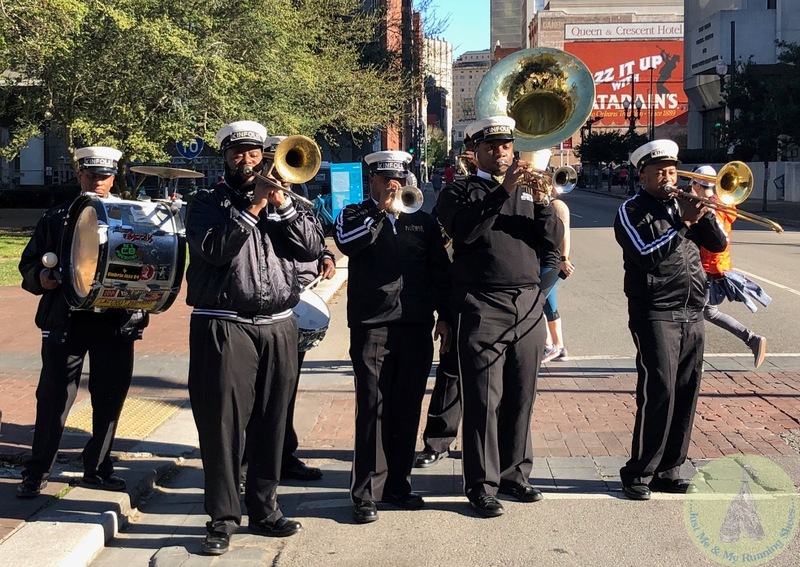 A Second Line band was jamming over in the middle of Lafayette Square which was definitely a fun way to start this race! 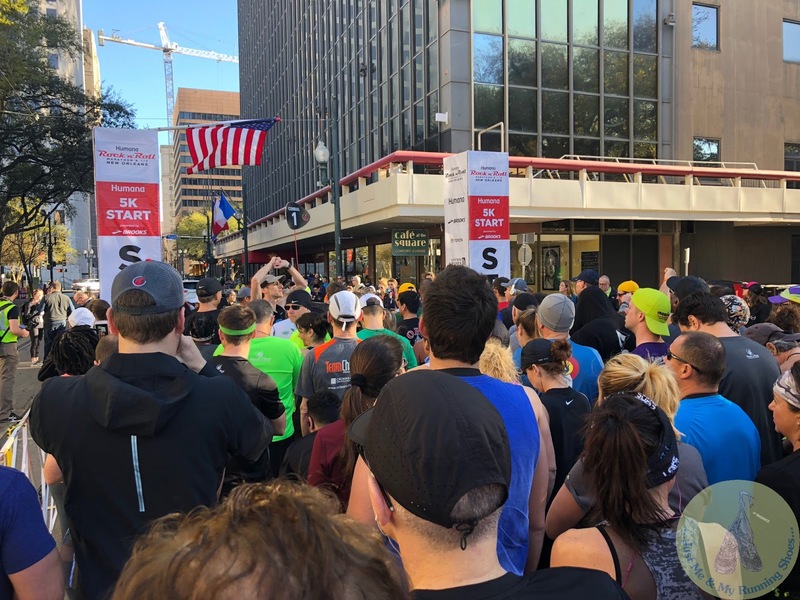 We listened to the opening ceremonies which included a little race motivation from Kathrine Switzer! 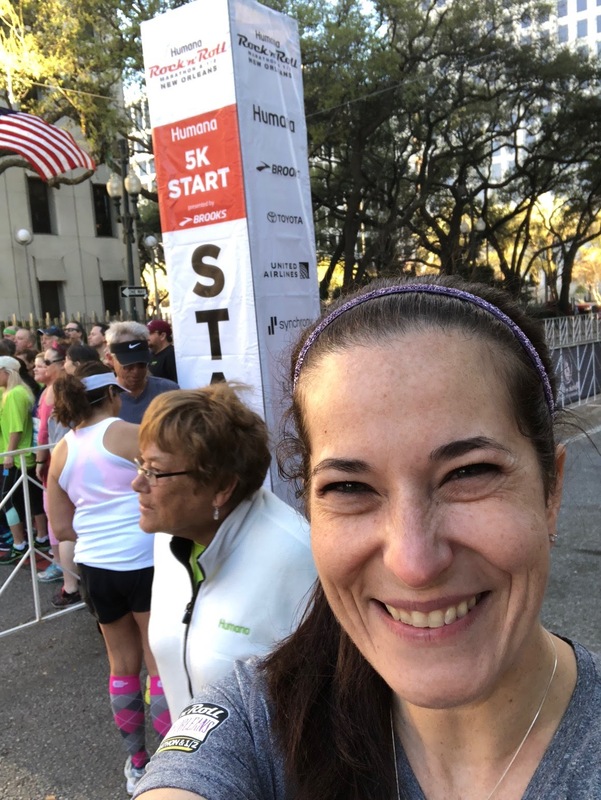 I thought it was so cool to be running a race that she was also running! We were allowed into our corrals and before long, it was almost time to begin the race. The National Anthem was performed by an amazing singer (she sang again the following day, too) and with that, we were off! Running through the French Quarter was so much fun! I felt great this entire race and really enjoyed the sights and scenery! There's Cafe DuMonde! 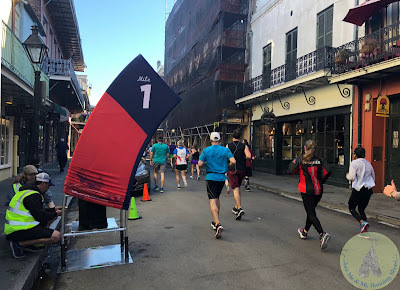 Even though I was tempted to stop for beignets, I didn't...but I will one day! 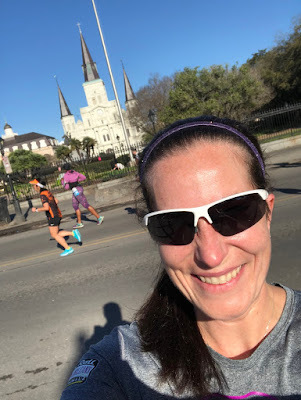 I was sort of thrown off for a hot second, because we came up to Jackson Square the backwards way - we passed Cafe DuMonde on our left instead of our right like I'm used to - but it was neat to see New Orleans from a different angle! 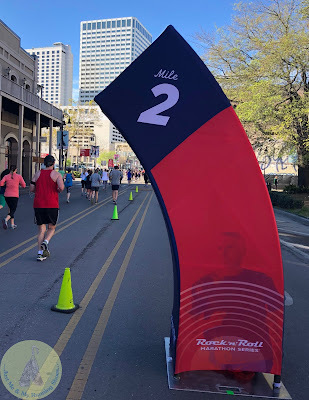 Mile 2 approached and with that, over half of the race was complete! I wasn't out for anything crazy with this race, I mainly just wanted to have a good time. That goal was definitely accomplished! 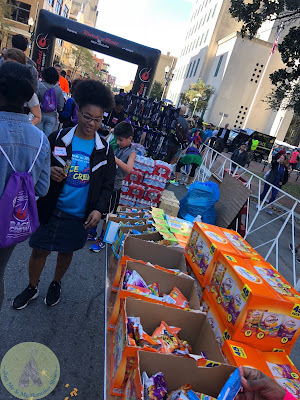 After crossing the finish line, I was handed a bottle of water, a medal (of course), pretzel goldfish, and a granola bar. At the end of the finish line chute, the second line band was still playing! It was so much fun to finish this race and have them there. 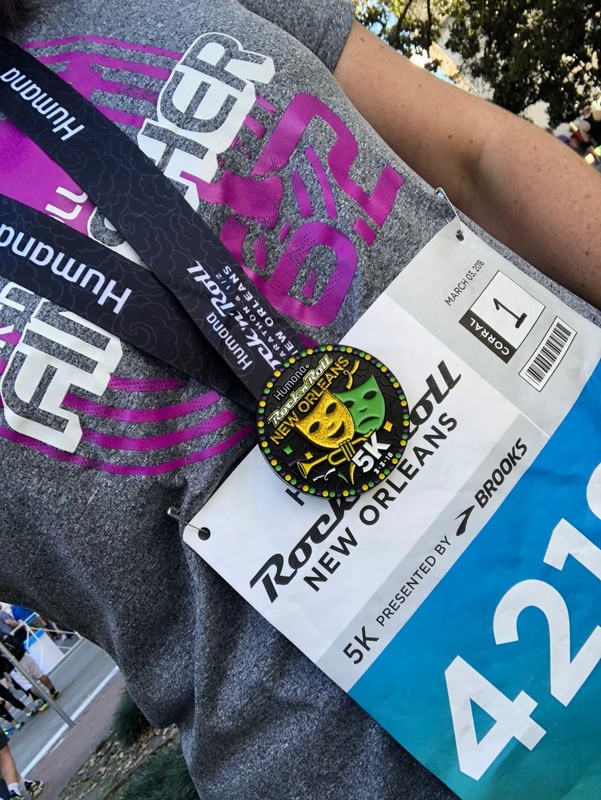 It also added that New Orleans flare to an already fun race! 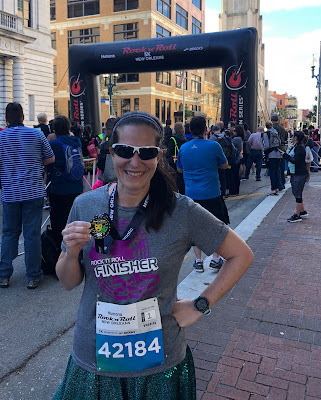 The medal was adorable, the race was fun, the course was amazing, the atmosphere was on point - I definitely give this race a two thumbs up and I'm so glad I had the opportunity to run it! 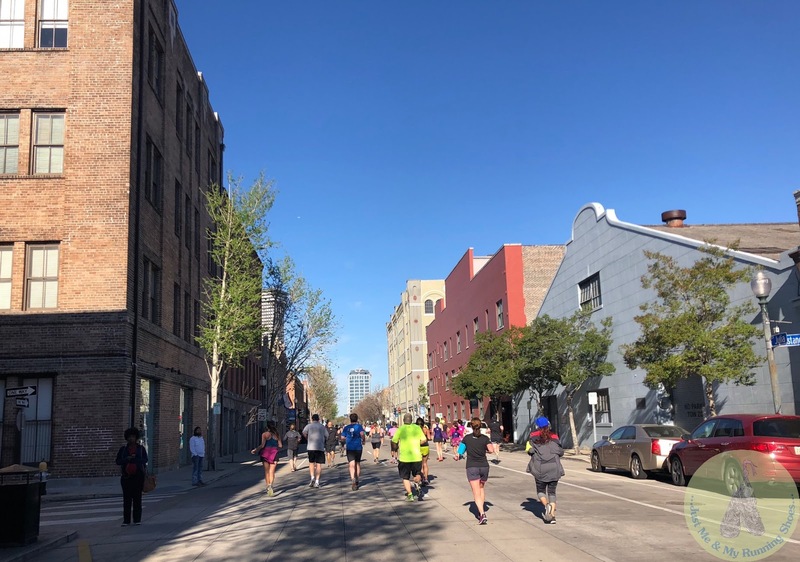 Have you ever run a Rock 'n' Roll 5K? What are your thoughts on the race? I do want to do visit NO one day. I supposed I should've while living in Dallas, then I could have driven! RnR is on my bucket list since they have a 10k. That looks like such a fun 5K. Only a ten minute walk to the corrals? That's awesome for us runDisney folks! I know, right?! That's what I was thinking, too!! I would love to visit New Orleans! That race medal is so cute and I would have been excited to see Goldfish at the end of a race..haha. They are a favorite of mine! The only RnR 5K I've ever run was in Las Vegas. Yes! The goldfish at the end made me super happy! Haha! That looks like a great race! 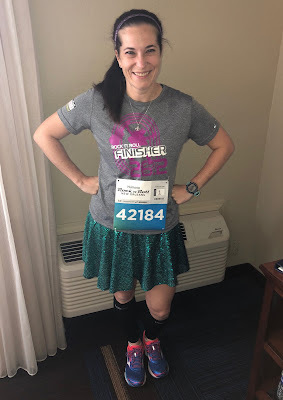 I might do a RnR 5K - I've done a half marathon years ago and the 5K appeals to me as all of the fun without the torture that comes along with a half marathon, haha! That's a great idea - fun, medal, less miles, less torture! I like it! Haha! Goldfish at the end of a race is a new one, but a very pleasant surprise. They're a perfect treat for kids of all ages. I know, right?! They even had a variety - regular, pretzel, or multi-color! So fun! That sounds like a real fun race. I'm glad you were able to get it at the very last moment. I haven't been to NO in ages and seeing the pictures makes me want to go. 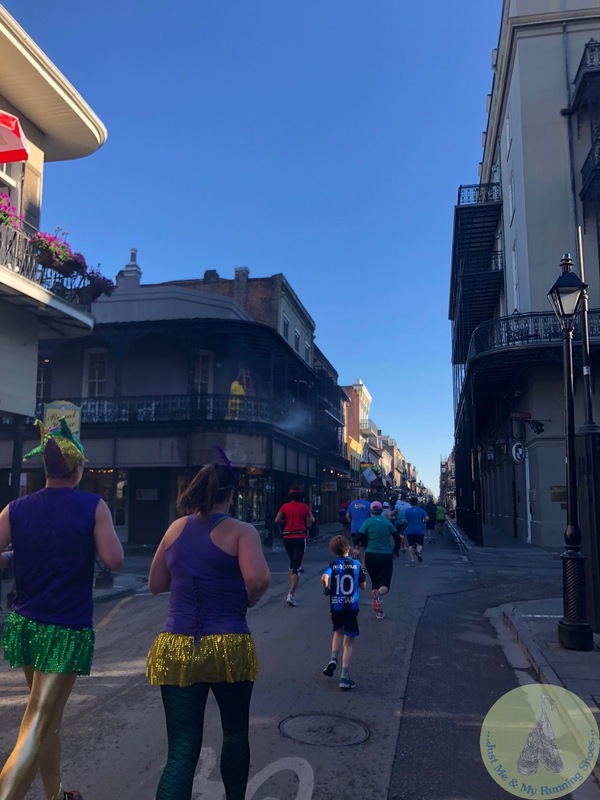 Especially for the beignets! Thank you! I was so glad I was able to get in, too! 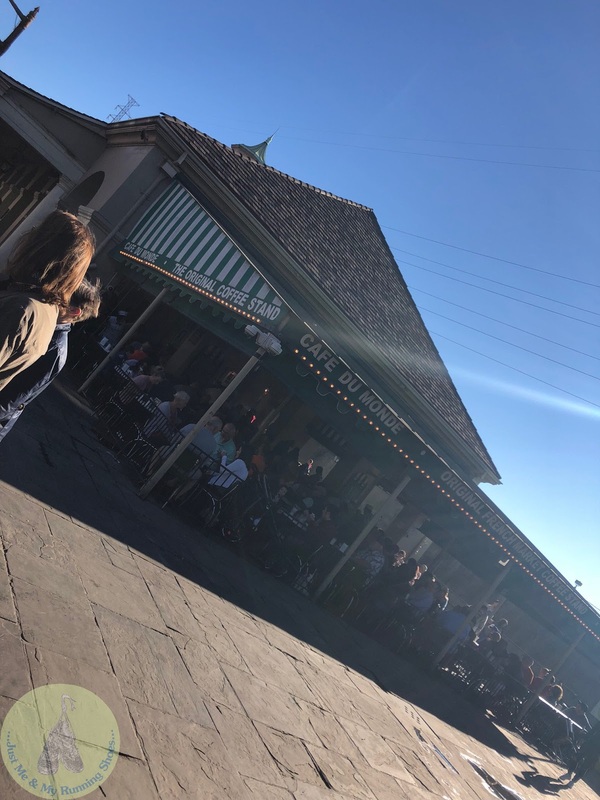 Sadly, we didn't make it to Cafe du Monde this time, but we will on our next visit for sure!